It is coming up to my favourite time of the year, I LOVE CHRISTMAS!!! And so I thought I would pull together a few ideas for christmas gifts for friends or family with IBD, especially those with an ileostomy or a jpouch. I love a massage and adore a relaxation day in a spa, but with an ostomy there were a few alterations I needed to make. I could never feel comfortable laying on my front, the weight pressing on the bag made me nervous about leaks and the pressure on my stoma was uncomfortable. But there are tons of other treatments that would be great. Just be aware that some treatments require you to fill out medical forms before hand and may not offer treatments if surgery was recent. It is best to give them a call and chat with the therapist. I would definitely recommend the Clumber Park Hotel and Spa, there are a variety of spa packages to all different budgets and the setting is gorgeous. I have been invited to spend the day at their spa and so look forward to giving you all a full review of the experience soon! A christmas hamper, bottle of fizz or box of chocolates are usually an easy gift, but it is worth considering that some people have to alter their diet quite a lot with IBD. Many people with an ostomy avoid nuts, some avoid carbonated drinks, some avoid dairy and some really struggle with fruit and veg. It is such a minefield that it may be worth asking them first if there is anything they don’t eat or drink. 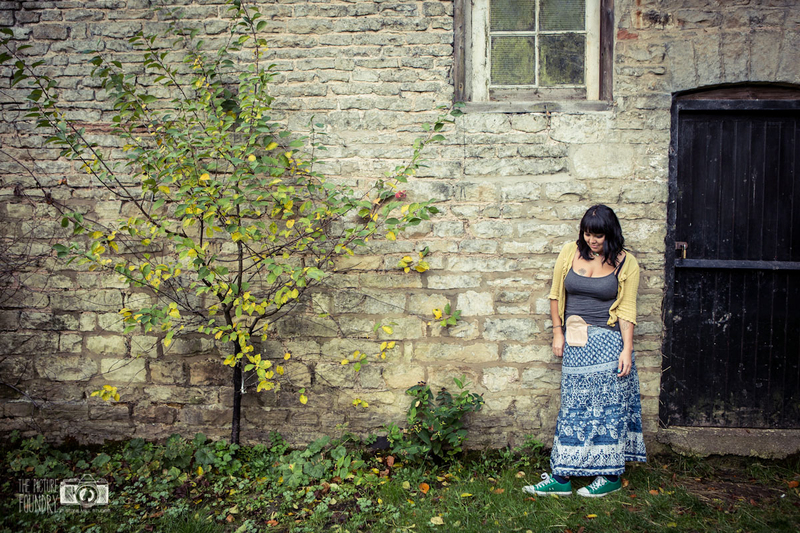 If you are buying for someone with an ostomy, you need to be aware of waistbands, and unfortunately not all stomas are in the same place so it can be difficult to gauge. When people have asked me for advice I tend to go for the simplest option, so when asked which pyjamas to buy for a woman with a stoma, I suggested a nightie instead. For men I would go for a dressing gown and slippers. Again everyone is so different, I didn’t mind wearing tight fitting clothes where you could see the outline of my bag, for others they may prefer something baggy and loose fitting. For someone who is often ill and sometimes spends time either as an in patient or at many hospital appointments, items to pass the time can be a life saver. I bought myself a kobo e-reader last year and people bought me kobo vouchers so I could buy whichever books I wanted. It was fantastic to be able to have so many things to read on hand in a package that fit in my dressing gown pocket! For women I don’t think you can go wrong with some great beauty products, I ADORE L’Occitane hand creams, they are a bit of a luxury treat that always make me smile. Lush also do some amazing ranges and I find the staff instore so helpful, go in and ask for help and advice. When I had my stoma I was very careful about using any bathing products or cream around the ostomy that could dry out or irritate the skin but found their products really lovely to use. Plus any gift given to me that is wrapped in a gorgeous scarf will always be a winner! Eyemask and earplugs – Essential for getting any sleep in hospital! A home made voucher offering a cooked meal/house cleaning/babysitting/movie night – just to remind them you will be there when they get home. I would definitely laugh at a poo based joke gift. Only you know your friend/family member and so if you think they have a sense of humour about it all, what about something a little bit funny? 52 Things to Do While you Poo perhaps? A Bristol Stool chart mug? Read about why these are a good idea here, I especially like the ones from Twisted Typist. With a hot seat, bum wash, massage and a blow drier, this is the ultimate toilet for your IBD mate! If you have any comments or suggestions, please let us know by using the comment box below.